“Every once in a while, you meet a person who embodies everything you want to know about a subject,” says Kathleen Purvis, food editor of TheCharlotte Observer. She is referring to Freddie Johnson, a “bourbon expert” whose family has worked for three generations at Buffalo Trace Distillery. However, her new book, Bourbon, plays a similar role. A SAVOR THE SOUTH cookbook from the University of North Carolina Press, Bourbon shares a trove of delectable recipes, of the sweet, savory, and liquid persuasion. It also provides a basic introduction to the beverage and its storied history. 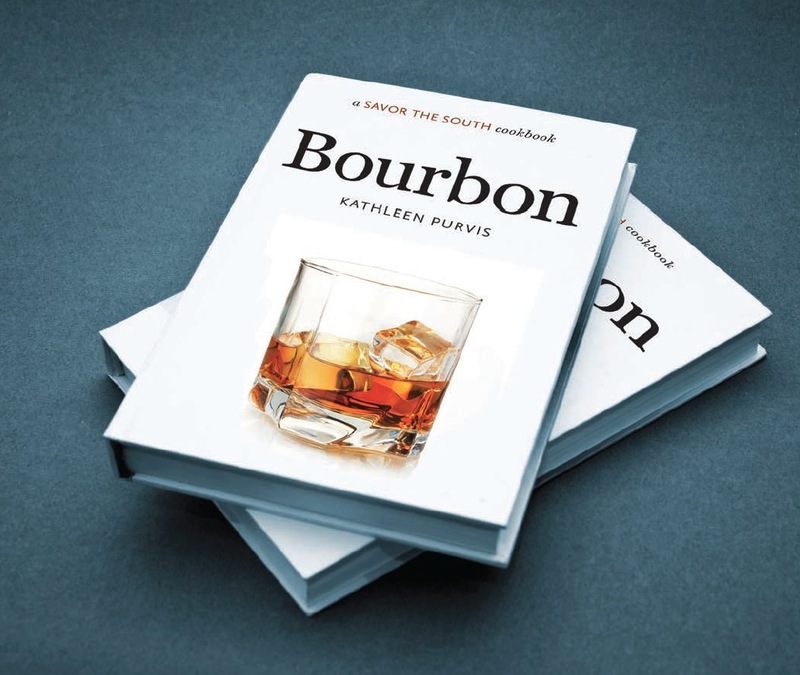 The book’s opening section acts as a primer on the fundamentals of bourbon: what it is and how it’s made, along with its characteristics and origins. Following the informative and engaging introduction, the book is divided into sections with cocktails, appetizers, main dishes/sides, and desserts. Requisites such as the Mint Julep and Manhattan are included, along with original concoctions like the “Smoked Bourbon.” The latter involves ingeniously heating bourbon over a charcoal grill with hickory chips. This is a simple but delicious parlor trick for your next cook-out or dinner party. Refreshingly, most of the recipes are quite doable for the average home cook. Scrumptious dishes such as the Bourbon Benedict, a take on the traditional Eggs Benedict, and Bourbon Pimento Cheese, reflect the “balancing act” of using bourbon in the kitchen. The desserts section features highlights such as James Beard Award-winning Chef Sean Brock’s recipe for Bourbon-Apple Stack Cake, as well as several variations on bourbon balls. It deserves to be experienced properly and given due deference. This brings us back to Freddie Johnson’s story. That is the essential message of Bourbon: the relation of the drink to people, and how their heritage is tied to its own. If you pick up a copy, you’ll find more than just practical advice and mouthwatering recipes; you’ll uncover the character of a timeless, inspiring subject. The post A Bourbon Review: appeared first on The Bourbon Review.